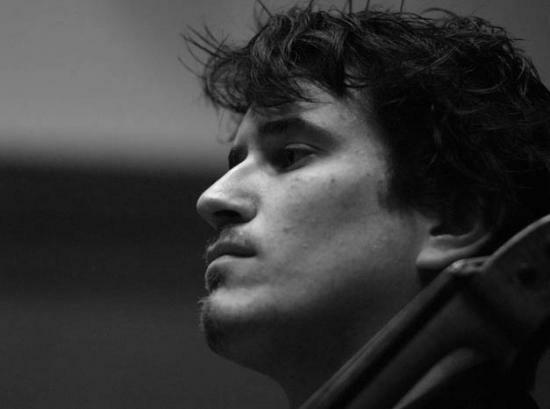 Corentin Chassard is a french cellist, who studied in St Malo, Paris and London, with renowned musicians such as Florian Lauridon, Aldo Ripoche, Xavier Gagnepain, Henri Demarquette, Emmanuelle Bertrand, Alexander Boyarsky and Jérôme Pernoo. He appeared in Master-Classes with Christopher Henkel, Francois Ragot in Spain and Bernard Greenhouse in England. Corentin is also a member of The Octandre Ensemble, directed by composer Christian Mason, and he is the official cellist of the renowned Japanese violinist, Taro Hakase, in Europe. Corentin has performed across France, Belgium, England, Switzerland, Spain and China, in venues such at the Royal Festival Hall, the Cadogan Hall, Saint Martins in the Fields, the Jacqueline Du Pré Music Building. He appeared at festivals such as Festival de Lacoste (2006), Festival des Abbaye (2006), The Chelsea Schubert Festival'(2008), 'The Rosemary Branch Festival' (2009) and the Dartington International Summer School (2010). Corentin’s interest in baroque music led him to study baroque cello with is first cello teacher Aldo Ripoche during 8 years, as well as David Simpson (Les Arts Florissants, Paris), Pierre Troucellier, Helene Houzel, Alice Pierot, Noelle Spieth, Charles Zebley, during his time in Paris, and to start the Viola da Gamba with Paul Rousseau in 2003. He had the opportunities to be part of many differents baroque ensembles, leading the continuo. In 2004, Corentin had the opportunity to play Vivaldi 4 seasons, with violinisit Constantin Serban, and the Orchestre National des Pays de la Loire (ONPL). In 2005, Corentin performed as a soloist with the baroque orchestra Les Extra-vagants during their French tour to Paris, Marseille and Toulon. He also has been a member of the Amadis Ensemble as part of the Festival des Abbayes. In 2009, Corentin has been part as a soloist of the Gennevilleirs Baroque Orchestra, leading by Helene Houzel, and conducted by Didier Louis. In 2006, Corentin participated at the Pierre Cardin Tour of China with the dancers from The National Opera of China, and performed the show "La vie en Rose", inspired by french songs (Edith Piaff, Léo Ferré, Jacques Brel), at the Twenty First Century Theater in Beijing, China. In 2009, Corentin improvised with the London Sinfonietta and the Laptop Orchestra, "to create a marriage of innovative soundscapes and atmospheric visuals", performed on the Ballroom floor in the Royal Festival Hall in London.